Now that we have that taken care of…If you were following me on Facebook last week, you’d know that the hardwood floors are getting refinished in the majority of our house and Mr. Lemon and I have been living in our lovingly named “tiny house.” This consists of our living room, kitchen and downstairs bathroom with the rest of the house closed off by a plastic tarp. Now, there are certainly people who live in much smaller spaces than this, but if I did, I would be getting rid of a lot of my stuff! Our living room currently houses a couch, two stuffed chairs, our queen mattress (on the floor), three dressers, two nightstands, a hope chest, two mattresses and our dining room table top stacked behind our couch, the television and entertainment center, a rolling rack for Mr. Lemon’s hanging clothes, the hamper, our three cats, and a partridge in a pear tree more. Close quarters! We thought we’d only be like this for a week, but we’re ending week two and are facing another week or more so that we can get some other fixes done while the house is nearly empty. In any case, this blog may feature a few more home decor posts in the coming weeks as a result of our mayhem! You know I have a hard time turning away anything lemon themed! But the designs on these printables are so fantastic, I would love them anyway. And this could certainly be a great plan to keep the kids busy on Saturday afternoon! One Charming Party created free lemonade stand printables and included great ideas on treats to include and how to set up a stand. Check out their free printables here! 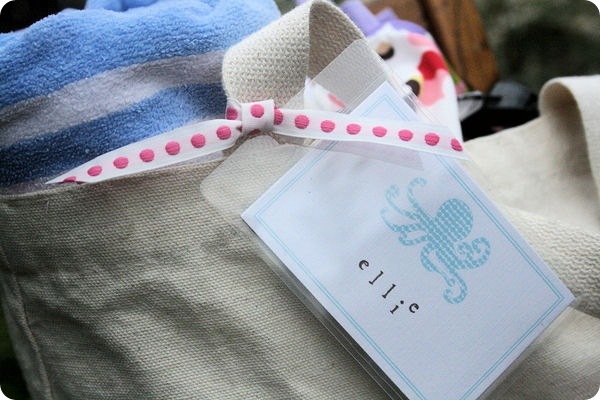 This printable isn’t designed for a party per se, but instead to be used as a cute beach bag tag! That being said, it could certainly be re-purposed as food signs, name cards or bunting. I love the cute silhouettes, bright colors and patterns that Little Birdie Secrets used when designing these free printables! #3 – Get Your Grill On! Jen at Hostess with the Mostess always comes up with amazing printables, but these may be my favorite designs yet! Of course Memorial Weekend is known as the unofficial kick-off to summer and for many families that means grilling out. This set of printables will quickly elevate your typical pot luck to a full on party! She also has a post for DIY mini-grill decor! Check out her free printable suite here. This entry was posted in Freebies, It's My life and tagged 4th of july, freebie, lemon, memorial day, outdoor entertaining. Bookmark the permalink.